Mix the chicken in the Frank's RedHot Original Cayenne Pepper Sauce and marinade for a few hours - overnight if possible. Grill the chicken until cooked through. When cooked, top with Gorgonzola and place back under the grill for 1 minute so it melts. 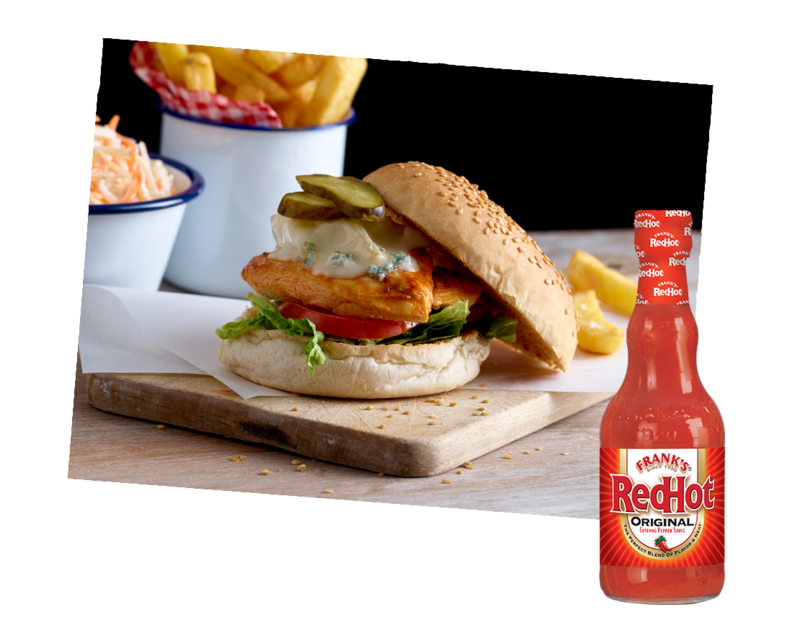 Assemble the burger by placing the chicken topped with cheese in the bun, then top with salad and sliced pickles, and serve with an extra pot of Frank's RedHot Original Cayenne Pepper Sauce.